U.S. safety regulators said in June they had received 22 complaints alleging incidents of unexpected braking on the 2007-08 Honda Odyssey minivan. DETROIT (Reuters) -- Honda Motor Co. said it will recall about 344,000 Odyssey minivans in the United States to fix a software defect that may lead the vehicle to suddenly and harshly brake without the driver pressing the brake pedal. But Honda will not be able to make the necessary fix until next spring when the required part, called a yaw rate sensor, is available. 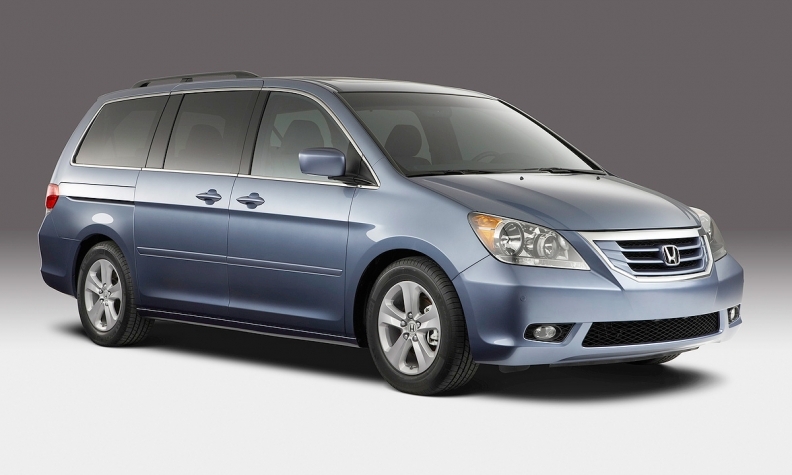 The Japanese automaker said it is not aware of any crashes or injuries related to this problem, which affects minivans built for the 2007 and 2008 model years. The National Highway Traffic Safety Administration began investigating the malfunction in June. At the time, the agency said it received 22 complaints alleging incidents of unexpected braking on the 2007-08 Honda Odysseys. In those models, the vehicle stability assist system can malfunction if the minivan is driven in a certain way, Honda said. The VSA system can suddenly apply the brakes without illuminating the brake lights, increasing the risk of a crash. "An updated yaw sensor will be installed in affected Odyssey vehicles to remedy the error in the VSA software," Honda said in a press release. "However, the yaw sensor will not be available until spring of 2014." As a stop-gap measure Honda will send letters to vehicle owners describing the steps needed to ensure the VSA system is properly calibrated when the vehicle is restarted. Honda will send a second letter to owners once the sensors are available next year. Philip Nussel of Automotive News contributed to this report.